Battlefield 3 is the second biggest game I'm looking forward to this year (Skyrim is 1st). Anyway, as long as EA can get it out before the holiday season, I will be one happy camper. Having just been revealed, Battlefield 3 is already gathering a lot of hype. With the DICE developers working on the Bad Company series, they have stayed in good shape since Battlefield 2, the last big PC Battlefield game (unless you want to count 2142). 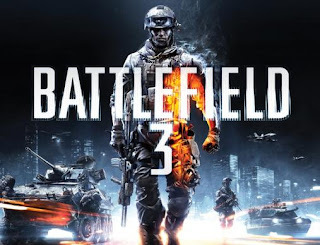 Battlefield 3 will of course be in the modern era and will feature a few real world maps. Going back to the multiplayer basics that made the series what it is, this will probably be the biggest PC shooter to date. Now it is releasing for consoles as well, but recent news is showing that those won't be as promising as the PC version. So far, the PC version will be the only version with dedicated servers and more than 24 player matches. So, this holiday will be a great time to be a PC gamer so you can get the best of the real Battlefield series. Until more news surfaces, this here teaser trailer will have to tide the crowds over. Enjoy!